With densely packed fibres and a sharp, slanted edge for smooth and even application of brow powder or gel liner, this is a must-have tool for precise, detailed work. 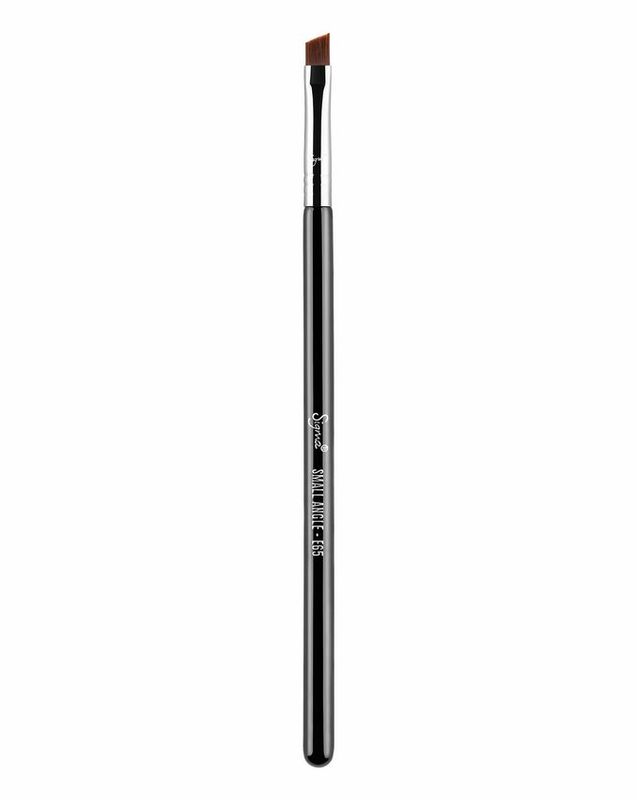 With Sigma Beauty’s exclusive SigmaTech Fibres – synthetic strands designed to outperform traditional animal hair – the Small Angle Brush (E65) moves fluidly and easily across upper and lower lash lines to ensure seamless application of gel, cream or powder formulas, and is ideal for creating fine, hair-like strokes to effortlessly enhance sparse eyebrows. Designed to last, the brush handle is made from lightweight, sustainably sourced wood while the patented, 3-ring ferrule is made from high-performance Sigma Alloy to guarantee strength and longevity. Moves fluidly and easily across the upper and lower lash lines. Use with gel, cream or powder liners.